Midway between the northern tip of mainland Norway and the North Pole, in the middle of the Arctic Ocean, is a Norwegian archipelago called Svalbard. You may not be familiar with the name, but you will surely be hearing a lot more about it. Its largest settlement, Longyearbyen, with a population of around 2000, will soon be home to a new brewery, Svalbard Bryggeri. Owner Robert Johansen tells us about life on Svalbard and what inspired him to start brewing beer on top of the world. 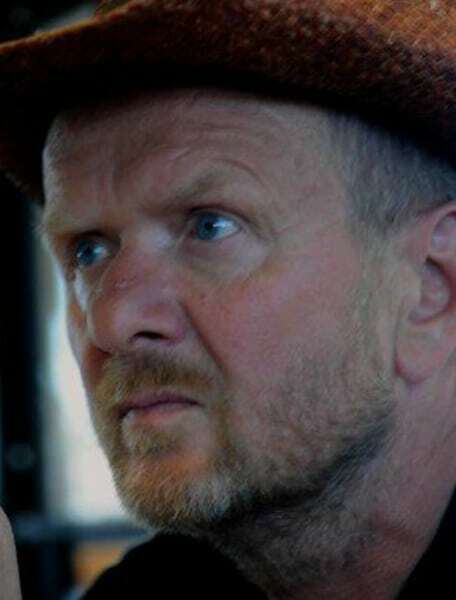 Robert Johansen is the man behind Svalbard Bryggeri. I came to Svalbard at the age of 22 from the Lofoten Islands in northern Norway, where I am from. I was very interested in the wilderness and nature. The only way to stay was to work as a coal miner, which I did for 12 years. At the same time I became a pilot, doing my education in Stockholm. In 1991 I decided to move back to Lofoten, where I founded a seaplane company. I ran this for 10 years. Then my family moved to Tromsø and I started to work at Lufttransport as a pilot to Svalbard. Our main business is flying between the settlements with coal miners working in Svea and also scientists from all over the world going to Ny Ålesund. In addition to that, we do coast guard duties by plane over huge areas in the north. All together, I have been on Svalbard for 25 years, know the islands very well, the nature, the people, the industry, development, tourism, and the future possibilities. 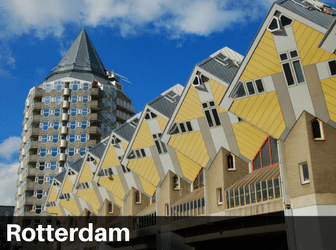 Beer is one such possibility: local, unique and the right thing to start with to give tourists, guests and locals a unique experience and feeling. I have been testing for several years and got very good responses so far. Together with setting up a brewery, his work as a pilot and base commander keeps Robert busy. What inspired you to start a brewery in Longyearbyen? I wanted to create something with its origin in Svalbard: local food/drinks, environmentally friendly (locally produced), and not shipped from the mainland by boat. I wanted to create work, give the guests coming to Svalbard great experiences, local beer, and a local brewery and a visitor centre where they can taste beer. Svalbard is well-known, has a good reputation, and is interesting in many ways. A local beer will suit that well. It is also the northernmost spot in the world with civilization. What styles of beer will Svalbard Bryggeri produce? We will start with ale, stout, weissbier, porter, pale ale, and premium lager. Later we’ll add seasonal beer, Christmas beer, etc. Where will your water, hops, and barley come from? The water will come from local sources on Svalbard. It is pure spring water and has the right mineral mix from passing through the different layers of the ground. The hops will come from all over the world, and barley from Finland and Sweden. What design will you use for the beer labels? We are working closely with advertising agency Rød Tråd to work out the whole concept and the website, and have just started the process. We will know more by July 1st but want a design which shows Svalbard in some way. When do you expect production to begin and is starting a brewery a difficult process? It has been a long way and we have been working almost five years with the respective government departments to get the laws changed. It is not allowed to brew beer or make alcohol on Svalbard. This is a law from 1928 and was very important for the little society of coal miners (the reason why people went up to Svalbard for work). Very important and they also had a limited amount of alcohol to drink. We are still waiting but are very positive and are told that all the papers and the permissions will allow us to start the business in July. This means building the factory, buying the brewery, setting up the whole activity, and starting to brew. We plan for the first beer to be ready in April 2015. 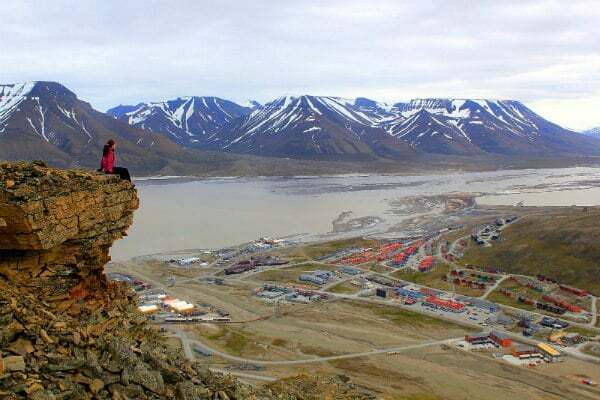 The small settlement of Longyearbyen is nearly at the top of the world. What are your favourite summer and winter activities on Svalbard? Setting up a brewery and working full-time as a pilot and base commander at Lufttransport does not give me much time. I like cross country skiing and also snowmobile trips to the beautiful eastern coast. In the summer, hiking and fishing for arctic char. If we were visiting Longyearbyen and other parts of Svalbard, what would you recommend us to see? Most important is to do trips in the wilderness by boat, snowmobile, or hiking. Barentsburg, the Russian settlement, is very interesting to visit. 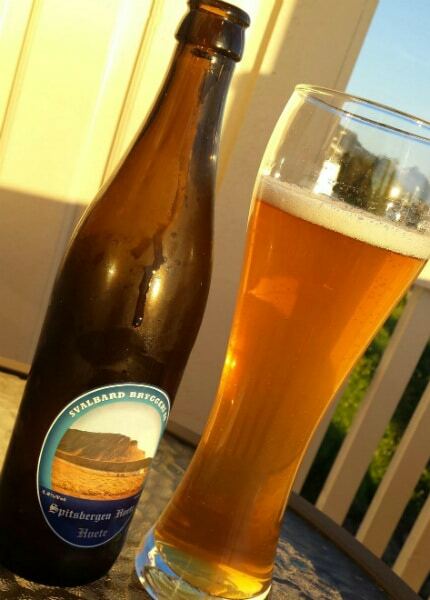 What local dishes would you pair with a Svalbard Bryggeri beer? Game (reindeer) or arctic grouse. Svalbard is well-known for its high quality and excellent kitchen, especially in the many restaurants. Nothing grows on the island and there are no animal farms. All the food comes from the mainland, except game, prawns, and some local fish. (Photo Credit: Robert Johansen)[\/caption]\r\n\r\nBio<\/strong><\/em>\r\n\r\nI came to Svalbard at the age of 22 from the Lofoten Islands in northern Norway, where I am from. I was very interested in the wilderness and nature.\u00a0The only way to stay was to work as a coal miner, which I did for 12 years. At the same time I became a pilot, doing my education in Stockholm.\r\n\r\nIn 1991 I decided to move back to Lofoten, where I founded a seaplane company. I ran this for 10 years. Then my family moved to Troms\u00f8 and I started to work at Lufttransport as a pilot to Svalbard. Our main business is flying between the settlements with coal miners working in Svea and also scientists from all over the world going to Ny \u00c5lesund. 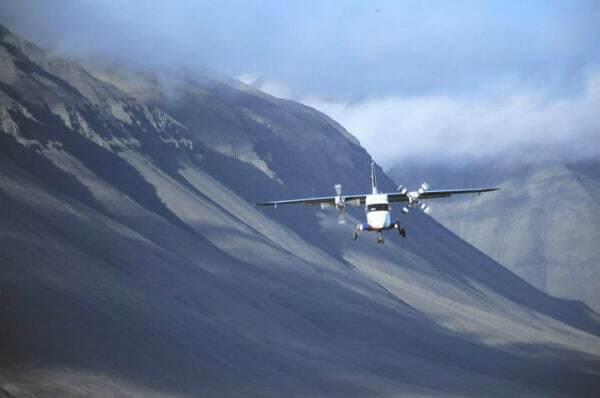 In addition to that, we do coast guard duties by plane over huge areas in the north.\r\n\r\nAll together, I have been on Svalbard for 25 years, know the islands very well, the nature, the people, the industry, development, tourism, and the future possibilities.\r\n\r\nBeer is one such possibility: local, unique and the right thing to start with to give tourists, guests and locals a unique experience and feeling. I have been testing for several years and got very good responses so far.\r\n\r\n Together with setting up a brewery, his work as a pilot and base commander keeps Robert busy. (Photo Credit: Robert Johansen)[\/caption]\r\n\r\nWhat inspired you to start a brewery in Longyearbyen?<\/strong><\/em>\r\n\r\nI wanted to create something with its origin in Svalbard: local food\/drinks, environmentally friendly (locally produced), and not shipped from the mainland by boat. I wanted to create work, give the guests coming to Svalbard great experiences, local beer, and a local brewery and a visitor centre where they can taste beer.\r\n\r\nSvalbard is well-known, has a good reputation, and is interesting in many ways. A local beer will suit that well. It is also the northernmost spot in the world with civilization.\r\n\r\nWhat styles of beer will Svalbard Bryggeri produce?<\/strong><\/em>\r\n\r\nWe will start with ale, stout, weissbier<\/em>, porter, pale ale, and premium lager. Later we'll add seasonal beer, Christmas beer, etc.\r\n\r\nWhere will your water, hops, and barley come from?<\/strong><\/em>\r\n\r\nThe water will come from local sources on Svalbard. It is pure spring water and has the right mineral mix from passing through the different layers of the ground. The hops will come from all over the world, and barley from Finland and Sweden.\r\n\r\n A sneak preview of Svalbard beer - perfect on a sunny day - but not yet the final product. (Photo Credit: Svalbard Bryggeri AS)[\/caption]\r\n\r\nWhat design will you use for the beer labels?<\/strong><\/em>\r\n\r\nWe are working closely with advertising agency\u00a0R\u00f8d Tr\u00e5d<\/a>\u00a0to work out the whole concept and the website, and have just started the process.\u00a0We will know more by July 1st but want a design which shows Svalbard in some way.\r\n\r\nWhen do you expect production to begin and is starting a brewery a difficult process?<\/strong><\/em>\r\n\r\nIt has been a long way and we have been working almost five years with the respective government departments to get the laws changed.\r\n\r\nIt is not allowed to brew beer or make alcohol on Svalbard. This is a law from 1928 and was very important for the little society of coal miners (the reason why people went up to Svalbard for work). Very important and they also had a limited amount of alcohol to drink.\r\n\r\nWe are still waiting but are very positive and are told that all the papers and the permissions will allow us to start the business in July. This means building the factory, buying the brewery, setting up the whole activity, and starting to brew. We plan for the first beer to be ready in April 2015.\r\n\r\n The small settlement of Longyearbyen is nearly at the top of the world.